Headlines about journalists losing jobs keep rolling in. In the second half of January alone, as many as 2,100 people were laid off from news outlets like Vice, Buzzfeed and the Gannett Company. In just ten years, newsroom employment has dropped 23%, and in 2018 social media officially overtook print newspapers as a news source for adults in the U.S. But while struggling mainstream outlets snag the lion’s share of headline ink, there’s an equally troubling trend that’s not being paid enough attention: the steady attrition of local news coverage across the country. In an article about rebuilding local journalism as an essential democratic force, Pulitzer board co-chair Joyce Dehli asks how so many missed the overwhelming support for Donald Trump in the years leading up to the 2016 presidential election. To her the answer is clear: coastal media elites overlooked prominent issues that affected white working-class citizens in the rest of the country, like the shrinking manufacturing sector and the burgeoning opioid crisis. The shortsightedness of mainstream news outlets may have tipped the election. Where was the local media when this happened? The dismal state of mainstream media points towards local news’ rising importance. But as it turns out, community-focused journalism is drying up across America. An ongoing project by the Columbia Journalism Review maps the landscape of news deserts, areas where local news is fast-disappearing. More than 1,800 local newspapers had to shut down between 2004 and 2018 alone, according to the Manhattan Institute. What happens when a community loses a local paper? Local news outlets aren’t around just to cover the weather, sports and traffic updates — stories that have little relevance nationally. They also serve in the role of watchdog: monitoring developments in local politics, education, crime, business and economy — issues that have the most immediate impact on peoples’ daily lives. They also end up playing the part of a good neighbor by attending community meetings, bringing issues to public attention, broadcasting events and connecting different stakeholders. When less than 20% of stories relate to one’s city or neighborhood, Bloomberg reports, communities tend to see lower rates of voter turnout and rising costs due to a lack of transparency. Without local coverage, people are less likely to be informed about the political candidates they vote for. Corporations could be given free reign; public funds could be mismanaged; residents’ health could be compromised; and so much more. Local journalism is currently underfunded and undervalued. How might we help local newsrooms better survive and flourish in a digital age? Besides embracing new forms of storytelling and newsgathering, the first step towards changing the doom-and-gloom narrative for journalism is finding revenue streams that go beyond attracting advertisers or getting audiences to pay for all content. 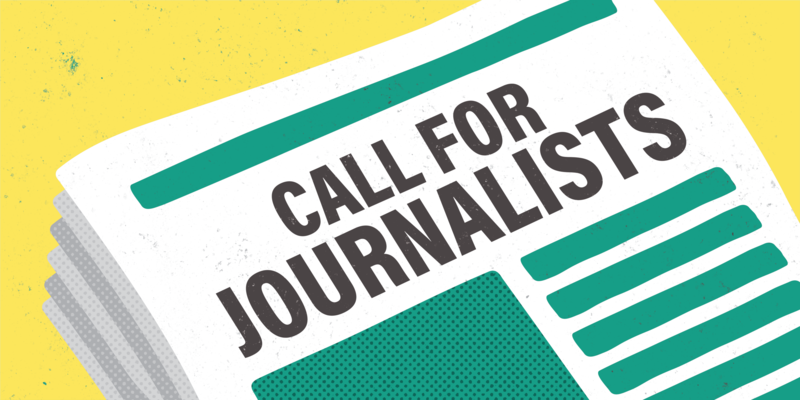 A tremendous opportunity awaits foundations and other funders: supporting quality journalism. Report for America found that in 2012, arts and culture received $2.1 billion in funding, while investigative reporting got just $36.1 million. Independent media outlets could take inspiration from NPR’s on-air pledge drives and Wikimedia Foundation’s donation campaigns (now accepting Bitcoin), both of which are iconic components of their brands. These are two excellent examples of how the process of raising funds can actually become a narrative tool. They not only increase membership and revenue, but also become a form of storytelling that reminds people of each organization’s valuable role in the community. In an effort to live by its independent journalism philosophy, The Guardian U.S. has embraced the reader contributions and donations model, a new revenue strategy that’s expected to break even this year. Local media advocates in Windham County, Vermont have banded together to find fresh ways to support community journalism after radio program Green Mountain Mornings was cancelled. A civic information consortium in New Jersey was recently granted $5 million to address the local news crisis in an oft-overlooked state stuck between New York City and Philadelphia, two major media markets. Even Facebook, in an effort to support trusted, reliable content, promised to invest $300 million over the next three years on supporting local newsrooms through grants and improved business models. News providers in the Pacific Northwest have discovered the key to building an audience: being relentlessly local. Editors have created an organic feedback loop to better connect with their community, hosting informal chats at a coffee shop, appearing on radio shows, featuring guest contributors and even inviting readers to suggest topics for coverage. The Oregon-based daily Herald and News released a series of augmented reality experiences to help locals explore the 2017 solar eclipse in the Klamath Basin. Nonprofit television station KCPT partnered with a local theater to present Justice In The Embers, a theatrical exploration of the 1988 explosion in south Kansas City. Sonoma West Publishers partnered with Hearken to launch So Curious, a tool readers use to ask questions and suggest story ideas for local news. Local news outlets are essential to democracy. We’ve written before about how public agencies, arts and cultural nonprofits, business improvement districts, libraries, laundromats, bodegas and even craft breweries help to anchor people to their neighborhoods. Local journalism is similarly vital. A local reporter knows how to keep communities informed, encourages civic engagement, checks those in power and holds them accountable at the community level. They’re certainly not doing it for the money. The profession is defined by a strong sense of integrity and an innate drive to produce good work. This post was written by Shivani Gorle with thinking contributed by Dylan Stiga and Brendan Crain. ThoughtMatter is a creative branding, design and strategy studio in New York City’s Flatiron District. Find us on Twitter.